In 2016, Jewel Hurtado was homecoming queen. Two years later, the 20-year-old was voted in as the newest member on the Kingsburg City Council. (Facebook Photo). In 2016, Kingsburg High School students voted Jewel Hurtado homecoming queen. Two years later, the Kingsburg community voted the 20-year-old Fresno City College student in as the newest member on the Kingsburg City Council. “It was very unexpected,” said Hurtado, who also recently became a mother. In the Kingsburg race, Hurtado beat out candidate Nathan Williams and unseated one-term incumbent Staci Smith to represent District 1. For much of the race, Hurtado trailed behind Smith. However, as the count of mail-in and provisional ballots continued, she took the lead in mid-November and has kept it ever since. With all ballots now counted, Hurtado retained an eight-vote margin of victory. “That’s really good news,” she said. 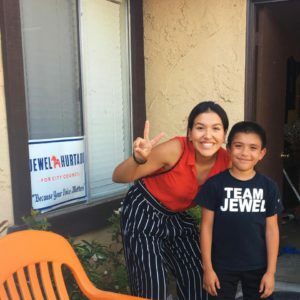 Hurtado showed a level of commitment as a candidate that earned her endorsements from the likes of Assemblyman Joaquin Arambula (D-Fresno) and Fresno City Council President Esmeralda Soria. They, as well as other government officials and organizations, helped Hurtado raise nearly $7,000 for her campaign. Miguel Arias, a newly-elected Fresno City Council member, also supported Hurtado. Doing so was a no brainer, he said. “When you have someone who is young and willing to do the work and ask people to support her efforts, it was an easy decision to endorse her and contribute to her campaign,” Arias said. Arias said he hopes other young individuals follow suit. “If they do what Jewel did and take the initiative and step up, they will be surprised by the amount of community support they get,” he said. Hurtado was born and raised in Kingsburg with her six siblings. She comes from a family of politically-minded individuals. Her grandparents were deeply involved with the farmworkers union and worked alongside both Cesar Chavez and Dolores Huerta. Her mother is a delegate for the Democratic Party. Hurtado got her start in the world of politics when she as a teen. Some of her experience includes serving as an assembly district delegate and volunteering for Bernie Sanders’ presidential campaign. It was through that experience Hurtado learned about the voting process and how to campaign. She believes those skills made the difference in her own campaign. From knocking on doors since June, to updating her social media accounts every other day, Hurtado tried to ensure that every household in Kingsburg heard her message. “It really played a huge role in the campaign because I was able to communicate with people so effectively,” Hurtado said. Effective communication between the city council and the city’s 12,002 residents is one of Hurtado’s goals. She believes her experience as a community services commissioner will help her bridge the communication gap. Hurtado said public safety is her top priority. In June, voters passed Measure E — a 10-year, one-cent increase in sales tax to hire police officers, firefighters, and paramedics, and to replace outdated equipment. “I just want to make sure that we keep putting that money into where it needs to go so we can continue to keep Kingsburg safe,” Hurtado said. Additionally, Hurtado wants to increase Kingsburg’s youth programs. “Here in Kingsburg we tend to brush our young people to the side,” said Hurtado, who graduated high school just last year. Hurtado said she also wants to revamp the city’s youth commission and involve kids in different opportunities such as local government. “That can create a positive avenue for them to express themselves and ultimately keep them out of trouble,” Hurtado said. 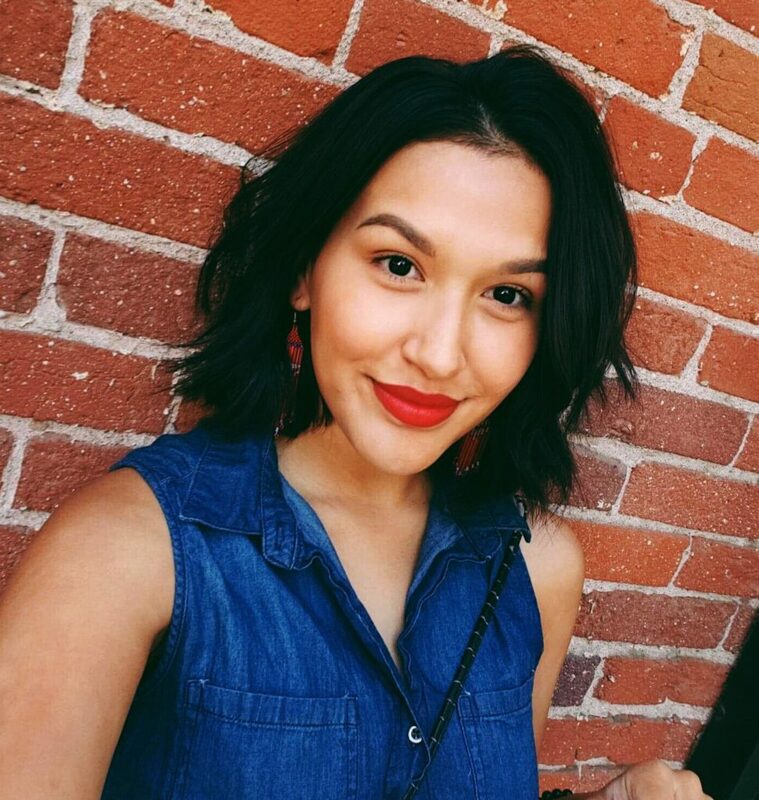 Hurtado believes her thirst for knowledge and her ability to relate to others is what the Kingsburg City Council needs to move forward.